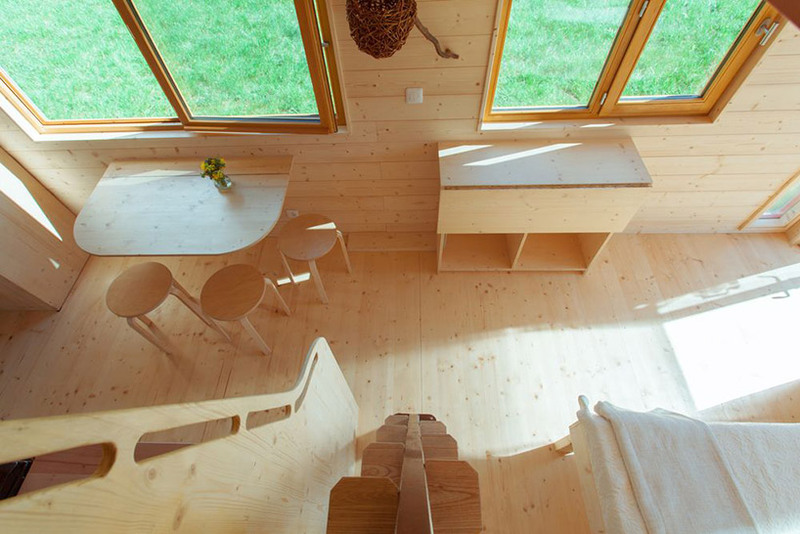 since its inception — circa 2000 — the tiny house movement has been offering affordable housing solutions that are ecologically friendly as well as a living style that advocates simplicity and minimalism. 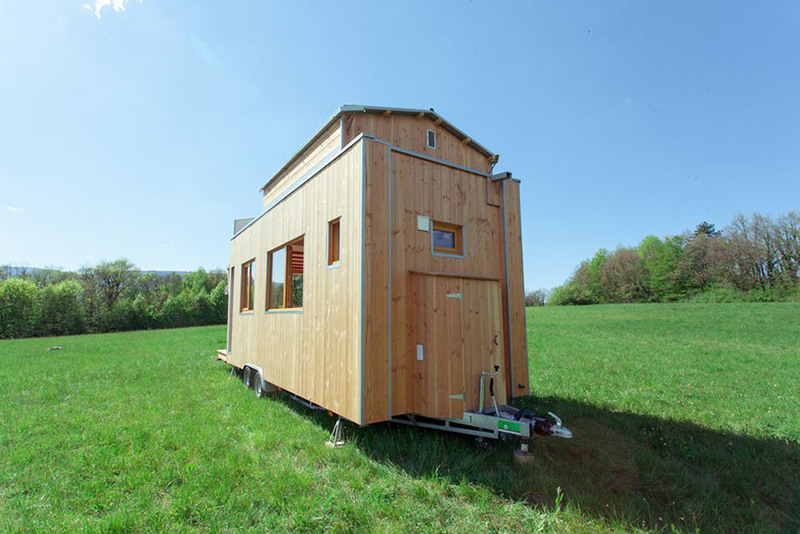 last week we saw a tiny house on wheels with a rising roof that revealed a second floor. 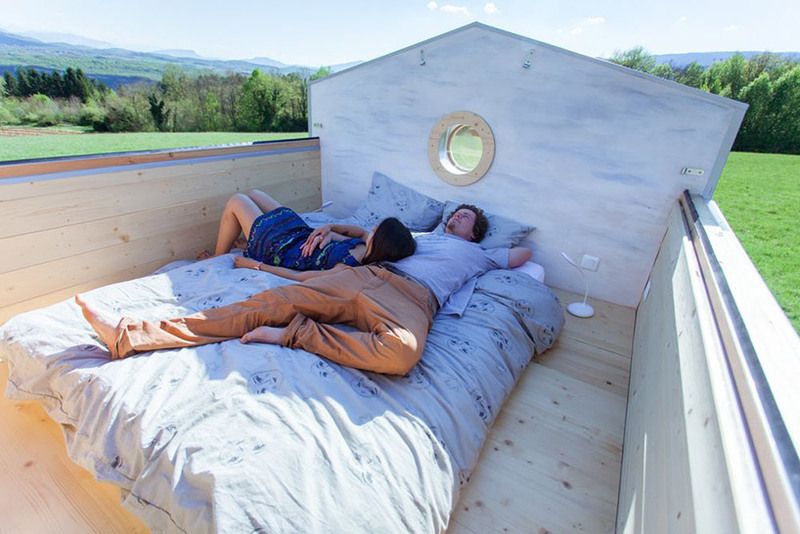 for this week, we have la tête dans les étoiles (or head in the stars) by optinid, a tiny house featuring a sliding roof that opens up the bedroom to the sky. 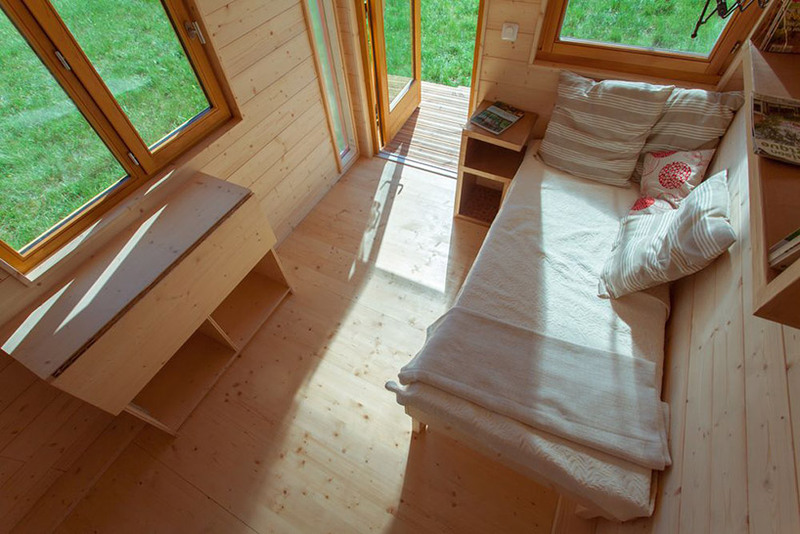 designed by french builder optinid, la tête dans les étoiles tiny house is clad in spruce and measures 7.2-meters-long (23.6 feet). as for the interior, it includes all the necessary space for single or double occupancy; a living area with a daybed and folding desk, a folding dining table capable of seating three people, a kitchen with a sink, a propane-powered cooker, a fridge and some limited storage space. at the other end you can find the bathroom with a shower and sink, and a separate toilet. the bedroom is located on the second level and can be accessed through a staircase. 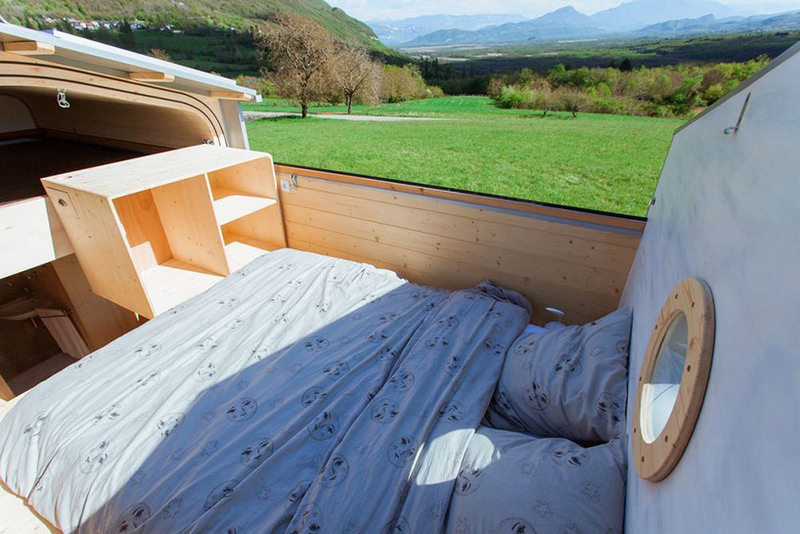 equipped with a sliding roof, the owner can unlock it and manually move it to open it and spend the night under the stars as well as under the sun. as for electricity, the house is powered by a solar panel array and it collects rainwater that is then pumped and filtered for drinking. 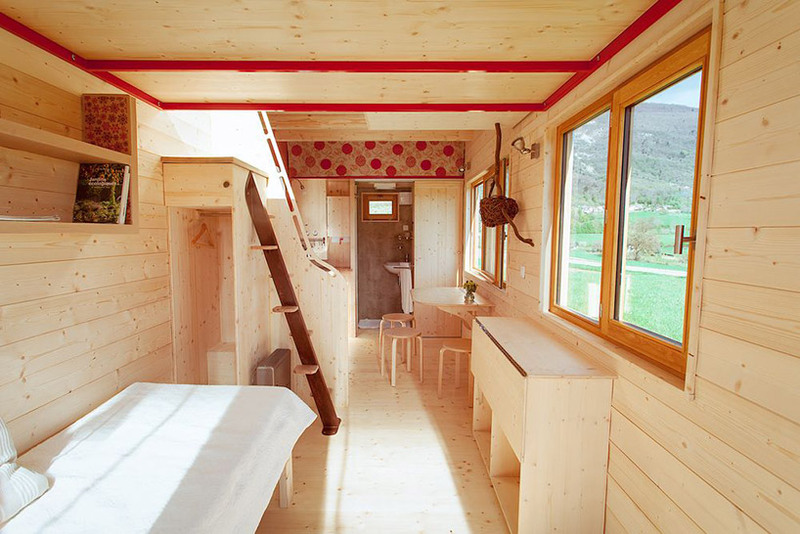 the optinid tiny house costs €54,000 ($62,500) but if lucky, you can go now and ask for a reduced price of €47,000 (around US$54,000). I love this open roof !! I live in Lubbock Texas south of City in the country the stars are beautiful this would be perfect for me . I’m single with two small animals dog & cat . Gotta keep mice out but my cat just plays with it! Lol can I advertise for you I know a lot of single people that would love the tiny house we talk about it all the time . I think this an awesome design. Is it weather tight? 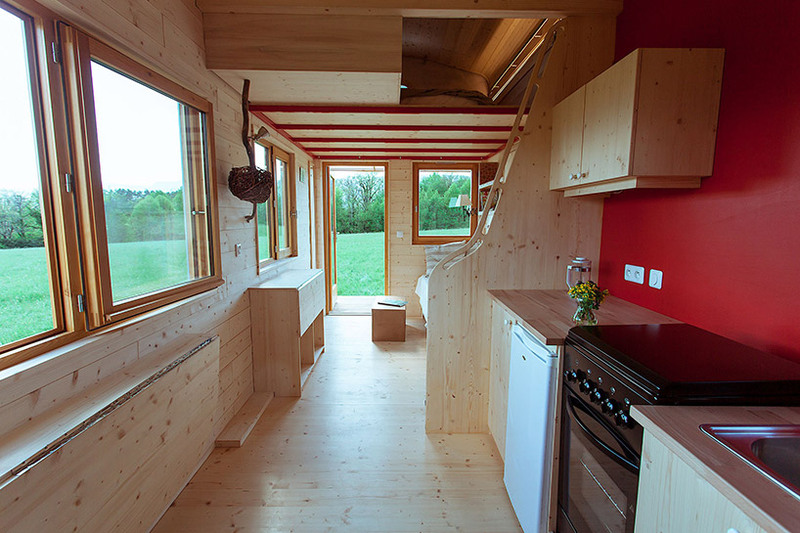 Is a tiny house subject to property taxes, as a traditional larger house is ? 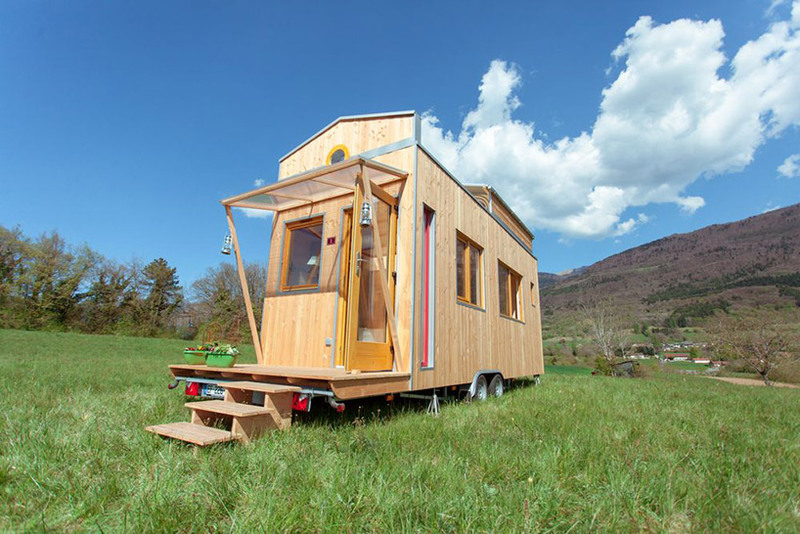 How do you protect the tiny house from strong hurricane force winds from flying away ? Can you park a tiny house in a NYC street ? What are options to use to heat the house ? 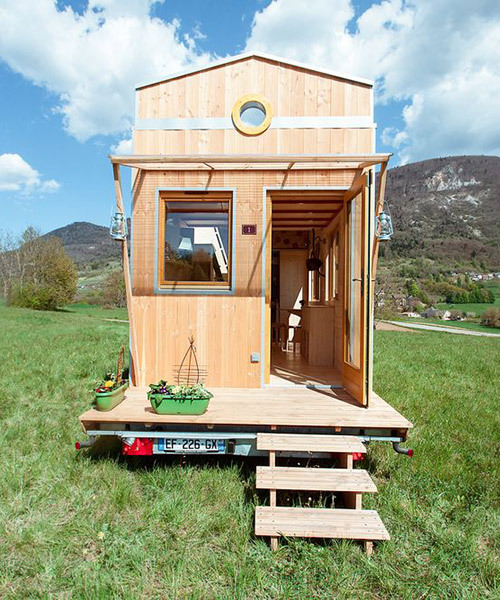 How do you protect the tiny house from vandals, thieves & burgulars ? I would like your reply /opinion. Thank you for your time. Ken Nieves, nyc, Manhattan resident. 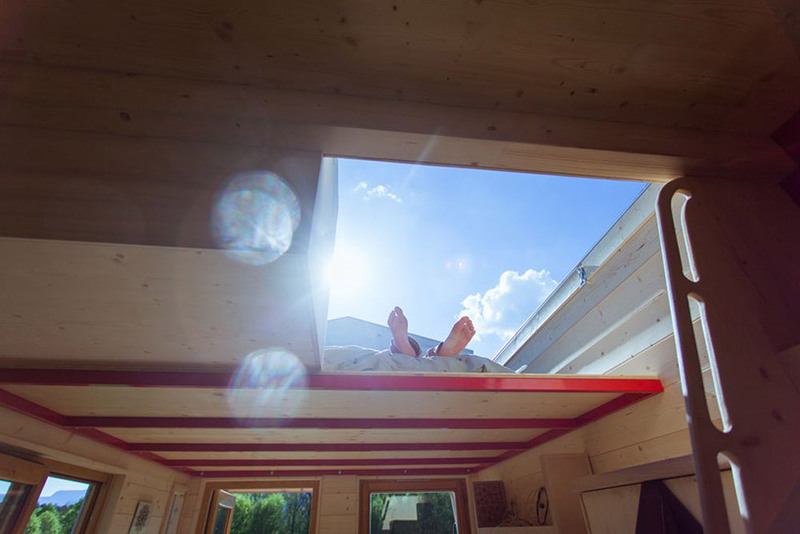 I would love to , build my own Tiny house…and encorporate the sliding roof. Can they come to Hawaii? Amazing idea! 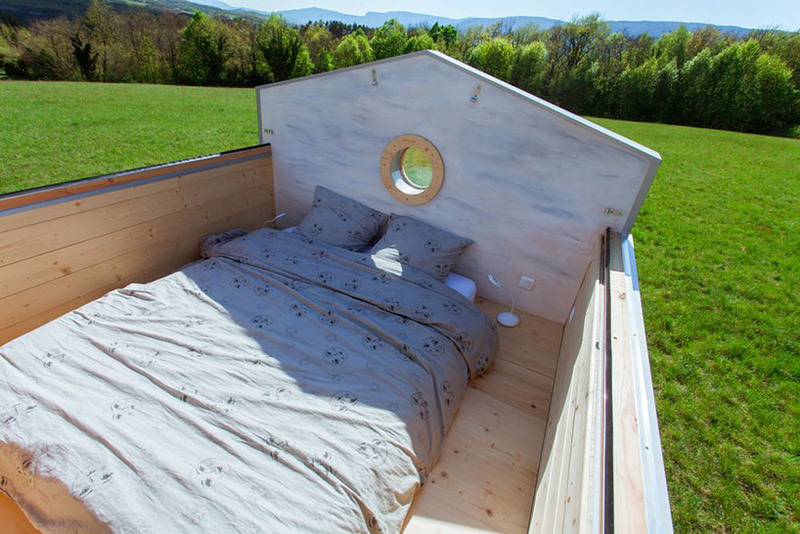 I’d love to have that open sky over my bed too. I just wonder how cold is with the roof closed, if the sliding rail let’s some air in or is it sealed?